The Narail Express has been an indefatigable trooper. Bangladesh Premier League’s (BPL) sixth edition has come to an end with Comilla Victorians winning their second title by defeating three times champions Dhaka Dynamites in the final. This year the tournament has witnessed a huge jump in its fan base with the popularity of the event spreading to every corner of the country. Many matches witnessed nail-biting finishes which led to even more excitement and craze among the Bangladeshi fans who are known for their love for cricket. The prestigious tournament invites the best of cricketers from the world to showcase their talent and serve different franchises in the best possible way. BPL is a great platform for the developing Bangladesh cricketers who share dressing rooms with some of the great players of the game and gain knowledge of cricket. The hosting of six successful editions of the T20 league has given fruitful results to Bangladesh Cricket as the team has made a name for itself in the international arena and has shown commendable performances over the past few years. So, the conclusion of any major tournament brings with it some heartbreaking news of players retiring or assumption that some player won’t be picked for next year’s edition. Similarly, the sixth edition of BPL could be the last for Bangladesh’s 50-over format skipper Mashrafe Mortaza. Since the inaugural season of the 20 over league the 35-year-old has switched loyalties three times, finally settling with Rangpur Riders. He was the leading wicket-taker for his franchise, however, his chances to represent them or even any other team in the tournament looks bleak in the future. Let’s have a look at the reasons why the allrounder would not feature in the future BPL tournaments. 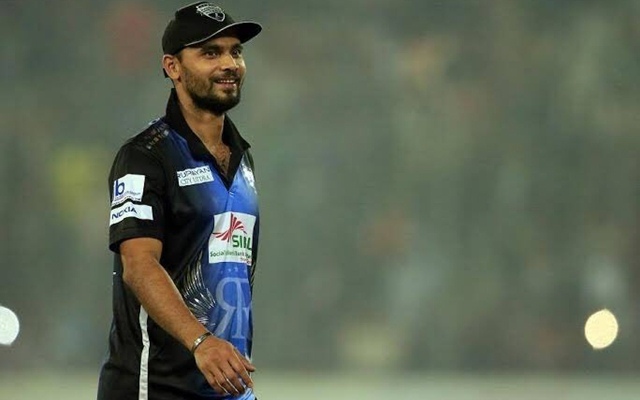 Mashrafe Mortaza is now 35 years old which is considered as an age where an athlete’s body could not cope up with the game pressure and as a result, he has to hang his boots. Most of the cricketers retire in the mid-30s as they consider it as an ideal age to bid adieu to the game they have worshipped. Once considered as one of the fastest bowlers Bangladesh has ever produced, Narail express was known to touch 140s on regular basis. However, as Mash got older his pace also dropped but his effectiveness with the ball remained the same. But the time has come now for Bangladesh’s ODI captain to give way to youngsters in the 20-over league as they are better suited for the fast-paced game than him. Clearly, he can be seen struggling to chase the ball in the outfield and T20 demands a fitter player who is young and fast on the toes.